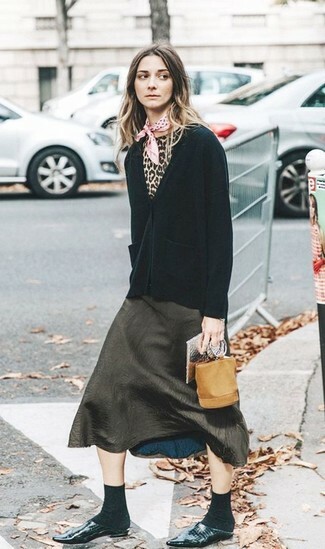 Team a brown knit cardigan with Vetements Black Sexual Fantasies Socks from SSENSE if you're on the lookout for an outfit idea for when you want to look casually cool. Finish off your getup with brown leather lace-up flat boots. We're all getuping for comfort when it comes to dressing up, and this combination of a black velvet blazer and Vetements Black Sexual Fantasies Socks is a practical example of that. And if you want to instantly up the style ante of your look with one piece, enter black leather pumps into the equation. Opt for a grey coat and Vetements Black Sexual Fantasies Socks to create a great weekend-ready look. 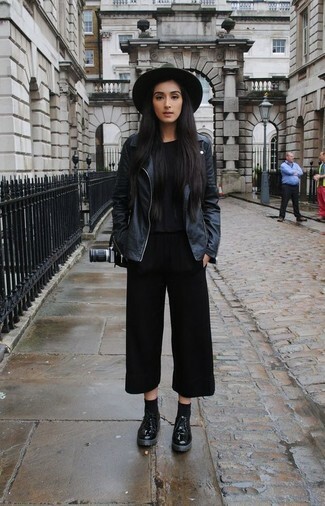 Bring instant interest and excitement to your getup with black leather ankle boots. If you're obsessed with functionality dressing when it comes to your personal style, you'll love this extra cute combo of a black cardigan and Vetements Black Sexual Fantasies Socks. And if you want to instantly up the style ante of your look with one piece, enter black leather mules into the equation. 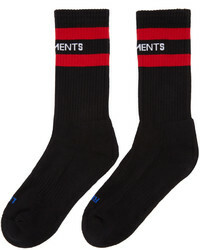 Wear a black crew-neck sweater and Vetements Black Sexual Fantasies Socks to be both cool and relaxed. Bump up the cool of your outfit by completing it with black leather lace-up flat boots. We all want comfort when it comes to dressing up, and this combination of a black leather biker jacket and Vetements Black Sexual Fantasies Socks is a great illustration of that. Break up your getup with more casual shoes, such as this pair of black leather derby shoes. If you're obsessed with relaxed dressing when it comes to fashion, you'll love this stylish pairing of a black leather biker jacket and black socks. You could perhaps get a little creative in the footwear department and elevate your look with black leather tassel loafers. 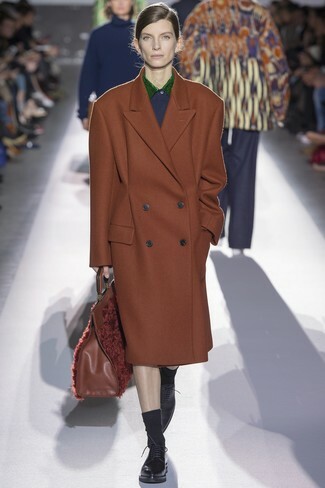 We all want comfort when it comes to dressing up, and this combination of a brown coat and Vetements Black Sexual Fantasies Socks from SSENSE is a great illustration of that. You could perhaps get a little creative when it comes to footwear and dress up your ensemble with black leather oxford shoes. 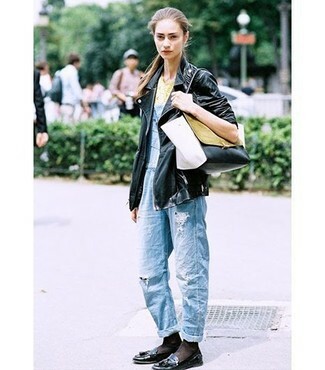 Wear a black quilted leather biker jacket and Vetements black socks for a casual get-up. Grab a pair of black and white athletic shoes to make the look current.